Inspection and testing of any electrical installation is essential at appropriate intervals to maintain the safety of users, whether this be in commercial properties or residential homes and it’s important to understand what the EICR observation codes reported mean. As all electrical installations deteriorate with time, an EICR (Electrical Installation Condition Report) carried out by a qualified electrical engineer will help to determine wear and tear, corrosion, damage, excessive loading, and external influences that may affect the overall safety of the system. Observations will be recorded during the process of the report and coded appropriately in terms of their severity and danger level. It may even be possible that items found to present immediate danger will need to be identified with the client immediately and in some cases switched off and isolated until such time that the installation is remedied. The EICR observations will be coded C1, C2, C3 and F1 accordingly. So, what do these observation codes mean? A Code 1 (C1) observation means ‘Danger Present’. This code means that there is a risk of injury and immediate remedial action is required. 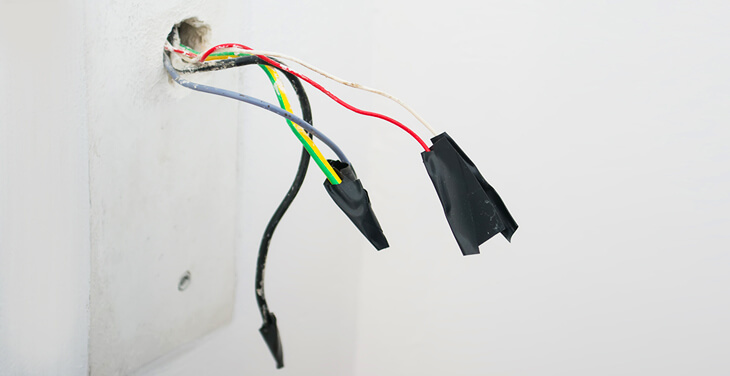 The person using the electrical installation will need to be advised to take immediate action without delay. A Code 2 (C2) observation means ‘Potentially Dangerous’. This code means that there is no immediate threat but it is likely to become a danger in the future and so urgent remedial action is required to remove the potential danger. A Code 3 (C3) observation means ‘Improvement Recommended’. This code means that a non-compliance with the current safety standard has been revealed. Whilst this does not present immediate or potential danger, it would result in a significant safety improvement if remedied. A Code F1 observation means ‘Further Investigation required without delay’. These are observations that are departures from the requirements of the current edition of BS 7671 and therefore need to be recorded separately as F1. Where an ECIR contains either a C1, C2 or F1 observation then it is not reasonable for the installation to be assessed as ‘satisfactory’ for continued use and will therefore be categorised as ‘unsatisfactory’. However, if there are C3’s on the report then it is entirely down to the decision of the customer if any action is taken. It does not make any difference on how many C3’s are on the report either, it is merely important to be advised where you stand with regards to the current installation and what has been recommended. How often do I require an EICR? View our EICR ‘what you need to know’ guide for more information about the required frequencies of electrical inspections for different types of businesses. To book an Electrical Installation Condition Report call 0800 909 8882 or request a quote online.